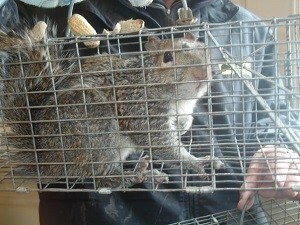 While our job at Critter Control is to remove unwanted animals, one of our priorities is humane wildlife control. Our wildlife management staff includes biologists, zoologists, a wildlife manager, and animal control officers, all of whom are educated, experienced, and genuinely concerned for animal welfare. These factors add up to the finest humane wildlife control program available. At Critter Control, we have the knowledge, training, equipment, and commitment to perform quality work in a humane manner. We know the laws and regulations throughout North America vary, and we work to keep up with those laws. Each animal requires a different approach to tracking, removal, and prevention. Our team of experts can identify the unwanted animal and develop a plan tailored to address our client’s and the animal’s needs. Identifying whether an animal is a skunk, raccoon, squirrel, bird, or other creature can make a difference in how we trap it and how we remove it. We use live animal traps in our removal; they are the most humane way to catch and remove many animals. We create unique solutions for wildlife pests and ensure that we follow the specific rules when working with each species. When working with protected animal species, it becomes especially important to follow such rules. At Critter Control, we stay educated about protected species and how to remove them in a humane manner. Critter Control can help eliminate your animal problems and prevent them from getting into your house again. We use innovative methods to provide ecologically sound wildlife management services. 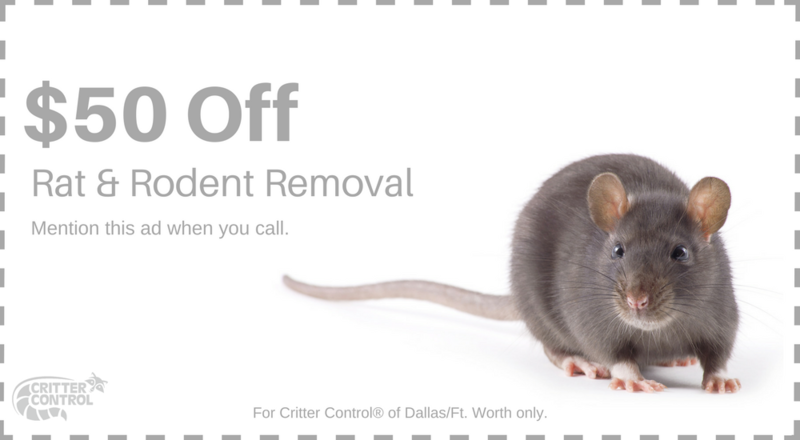 Resolve your pest control problem today by calling us at 469.805.6267 or filling out a Contact Us form.